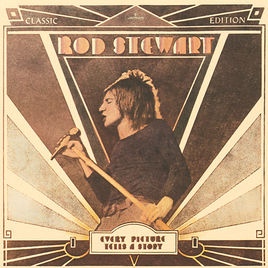 Rod Stewart's first for albums were mixtures of rock, folk, country and blues with some Sam Cooke-style soul atmosphere thrown in in places. They were highly credible, atmospheric and enjoyable albums. All five members of the Faces appeared on this one, so it was, to all intents and purposes, a Faces album. 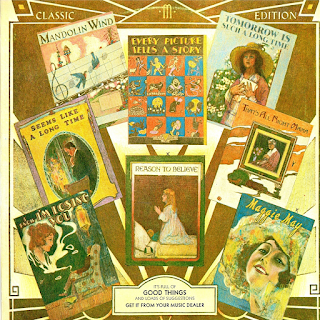 The first two albums, "An Raincoat Won't Ever Let You Down" and "Gasoline Alley" were more folky than rocky, in comparison with this album and had just a few rough edges about them, particularly the first one. All such edges were ironed out here, though, and this was Rod Stewart's first real quality release. It all came together and, together with an iconic single release taken from the album, made Rod Stewart a household name. The storming title track starts quietly and then kicks into a blast of rock with a few folk influences and a copper-bottomed Stewart vocal remembering how he "fell in love with a slit-eyed girl" in a way he would never have got away with now. This track really rocks and is a great introduction. Then we slow down the pace with the classic Rod Stewart slow bluesy rock ballad, "Seems Like A Long Time". Some impressive drums, bass and lead guitar on this one, and, of course, Rod's vocal. Just perfect in so many ways. Rod's cover of Arthur "Big Boy" Crudup/Elvis's "That's All Right" is sensational, pure Faces - brim full of rocking piano, acoustic and electric guitars merging, mandolin, thumping drums and Rod's blues-soaked vocal. It had that extended rocking "Stay With Me" - style rocking instrumental/vocal ending too. Glorious. Rod loved a bit of mournful , Scottish-influenced folky instrumental, and we had it here with "Amazing Grace". The Caledonian folky influence continues in to an impressive cover of Bob Dylan's "Tomorrow Is A Long Time". Stewart liked a Dylan cover, and he always did them justice. The now world-famous, memorable single, "Maggie May" (here with its nice, rarely used on the radio, mandolin intro) was initially the 'b' side to the lovely, and equally seductive "Reason To Believe". However, the former's popularity gained through radio play and its "story" style lyrics that everyone sang along to ensured a "flip" of release and it became the 'a' side and a massive number one hit and an undoubted claim to be Rod Stewart's best ever song. Even now, I can never fail to enjoy listening to it. Lovely bass underpinning it too. Oh and did I forget that mandolin part at the end. "Mandolin Wind", with its steel guitar intro, is, like the cover of Tim Hardin's "Reason To Believe" just beautiful. Soulful, evocative Stewart folky rock of the highest order. Just listen to the mandolin/drum ending to "Mandolin Wind" or the haunting vocal delivery on "Reason To Believe". Both songs are unforgettable. As, too, is Stewart's peerless rendering of The Temptations' "I Know I'm Losing You", one of few really credible covers of Motown material. Check out Kenney Jones' drum work at the end, and that guitar. Again, The Faces at their very best. Just a fantastic blues rock track. "Through the coldest winter in almost fourteen years...". Rod could pen a line or two, it is often forgotten.